Aside from a brief golden period in the ’30s where swing musicians like Benny Goodman, Artie Shaw and Woody Herman popularised the instrument, the clarinet has resigned itself to side roles in larger, mostly classical ensembles. Whilst the Beatles used clarinets in six songs, and everyone from Radiohead, to Van Halen have dabbled from time to time little has changed in 80 odd years. It’s possibly because the clarinet lends itself to accompaniment, but also to space, both of which occur here. Renowned Turkish clarinettist Oguz Buyukberber recorded solo clarinet improvisations in the large empty reverberant room you see on the cover. 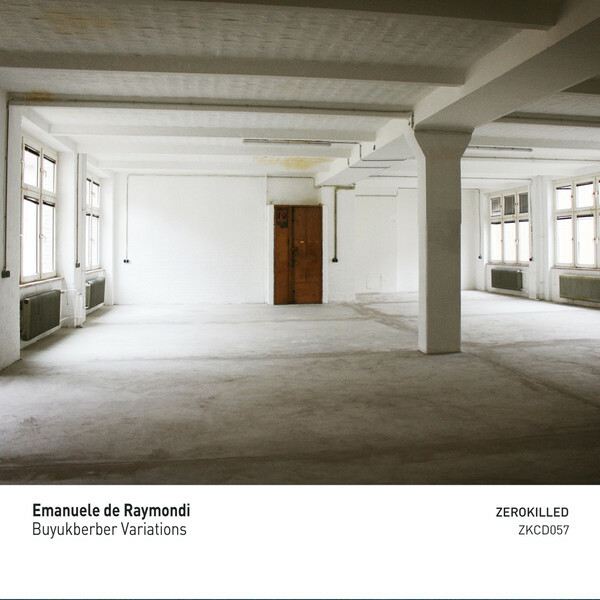 These recordings were then given to Italian sound artist Emanuele De Raymondi, who clips cuts reorders and recontextualises the sounds. He utilises multiple approaches from subtle loops to heavily processing the sounds, at times retaining Buyukberber’ unique often extended techniques, others chopping and processing individual close gestures. The processing often serves to remove the sense of space, yet they’re often layered around other more organic clarinet where the reverb is extremely present. In the main De Raymondi keeps things gentle and amorphous, experimental electro acoustic journeys of sound. Yet he also delves into some highly rhythmic pieces that flirt with electronic dance music or house rhythms, though they’re all admittedly quite abstract. There’ a peacefulness here, and a subtlety in both artists approaches, a gentle touch that is quite soothing, De Raymondi has previously worked in classical/ new music composition, film, chamber music and electronic soundscapes and he displays numerous of these influences on a diverse and compelling release that will keep you coming back for more.